A native of Northern California and a true legacy Event Manager, Joe planned his first event in 1985 for the Santa Clara County YMCA. 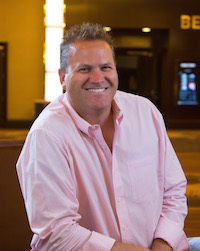 Over the next two decades, Joe refined his gift for Event Management while working for his family's company, Conference Planners, and is currently recognized as one of the leaders in the industry. In 1996, Joe founded, ATR-Events later purchasing Back to the Future Reunions and Rock Around the Clock Entertainment. In 2008 Joe purchased controlling interest in StageOne Events assuming the position of President of Event Services. As a past member of the Hawaii Convention Center Corporate Advisory Board as well as a member of the MPI Industry Advisory Panel, Joe has a well deserved reputation among his many business associates and clients as a hands on, low maintenance vendor who can get the job done and get it done well, on time, and within budget. In addition to his role as President of StageOne Events, Joe also serves as the Executive Director of the California Workers’ Compensation Defense Attorneys’ Association, the Executive Director of the National South Asian Bar Association, The Executive Director of the Reunion Planners Association, is the owner and founder of National Reunion Services and is the Founder and Managing Partner of Reunions on Demand. When not working, Joe volunteers his time teaching Junior Achievement, is a loving father and husband that enjoys golf, Disneyland and laughing over a good bottle of red wine with friends. 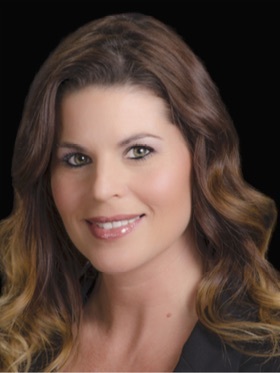 Michelle Smith serves as Sr. Events and Exhibits Marketing Manager for National Reunion Services and StageOne Events. Michelle brings over 10 years of event planning as well as logistical and organizational experience in the arenas of corporate, social and association events. Michelle’s elegant style for planning brings the art of creativity and personalization to every event. She lavishes special attention to details and structural organization. Michelle is passionate about her craft and dedicated to providing quality service to all her clients. In addition to the work she does in event management, Michelle also works with clients to develop visual communications and strategies, enabling the clients to best reach their target audiences. These visual marketing pieces are designed for use in presentations, social media, training and print. Michelle has been responsible for the concept development, design and production of a range of projects, including corporate identity programs, marketing collateral, direct mail campaigns, exhibit graphics, web branding and site design. Michelle attended San Francisco State University and completed the Event and Meeting Planning Program. She is a native Californian and a loving wife and mother to her son.